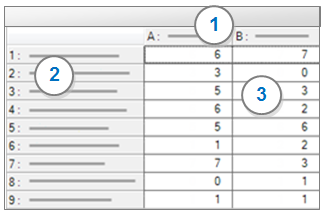 You can expand the column widths or use the scroll bars. To re-size all the columns at once, hold down the Option key while adjusting the column width. You can double-click on a cell in the matrix to open the node containing the content coded at the intersection of the row and column nodes. In the File Format box, choose the file format for the exported file.